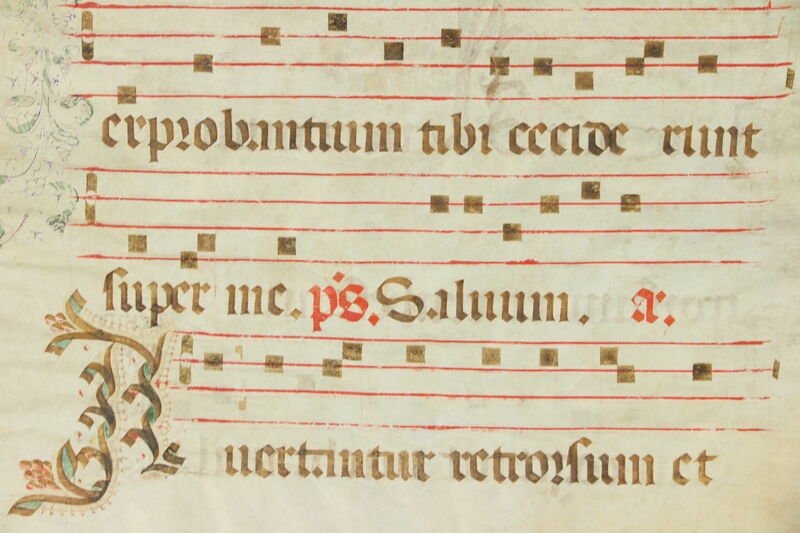 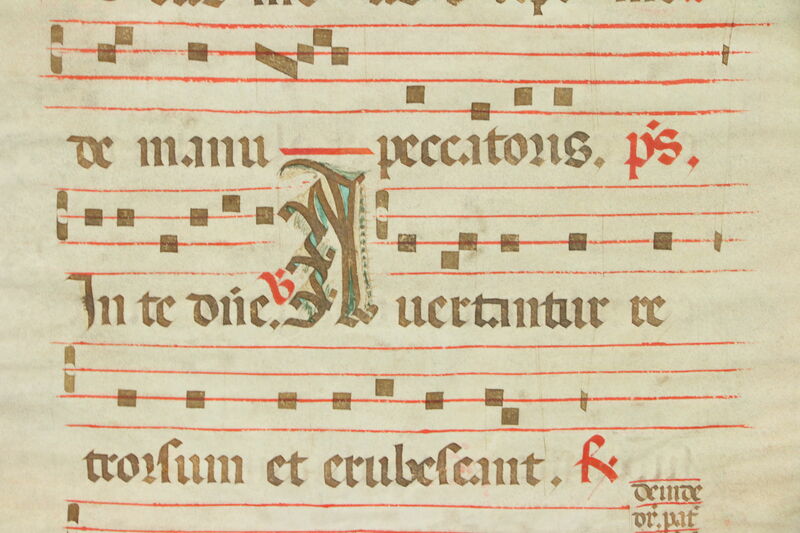 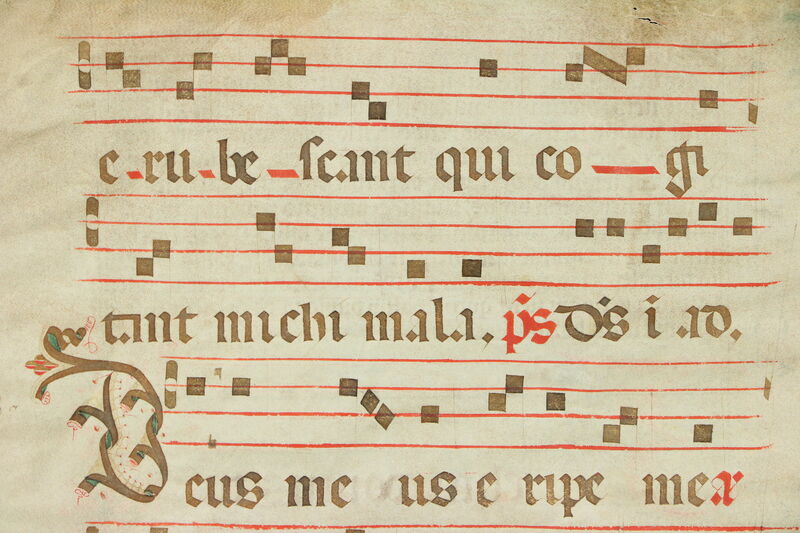 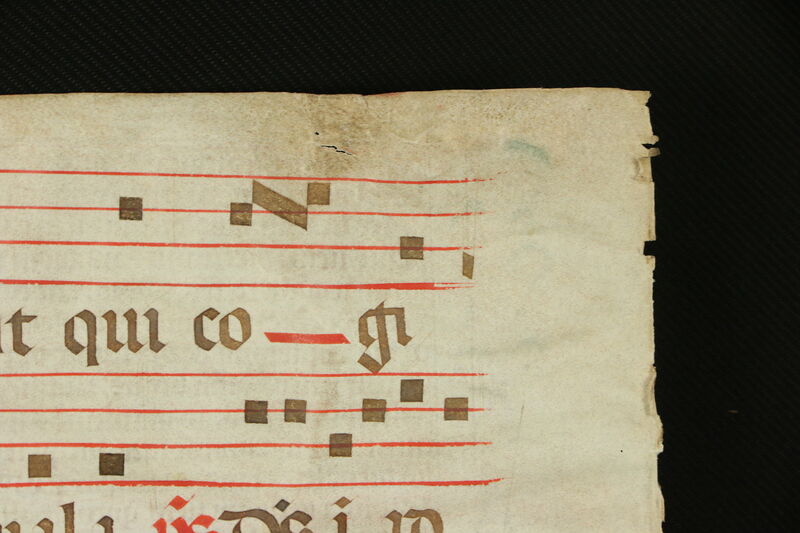 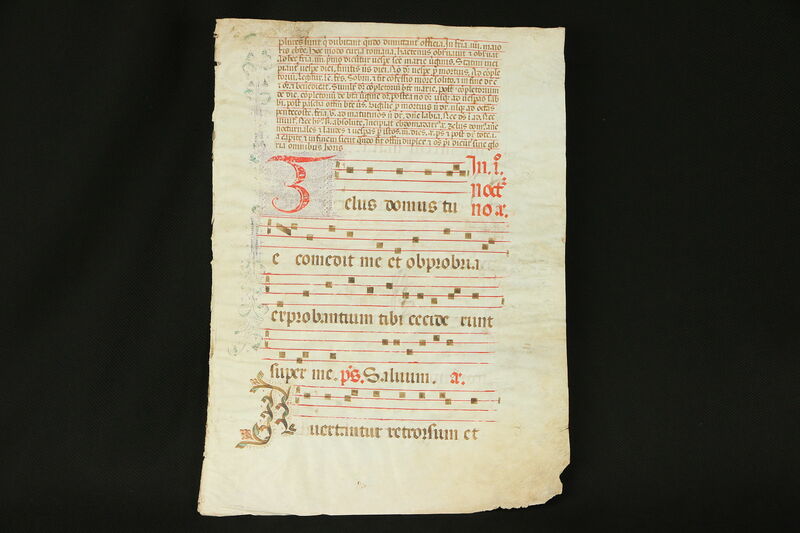 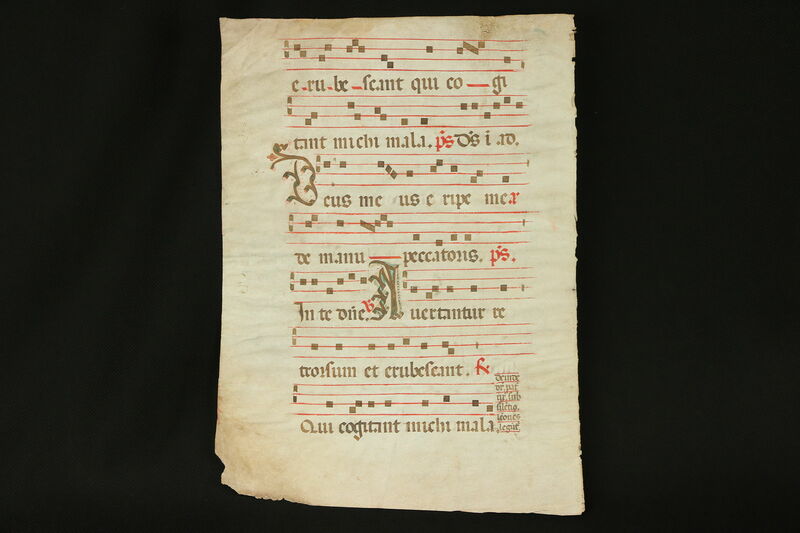 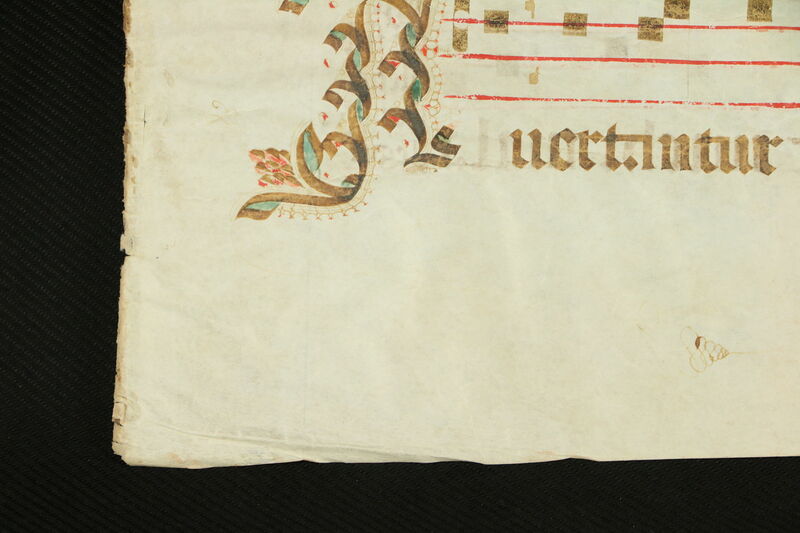 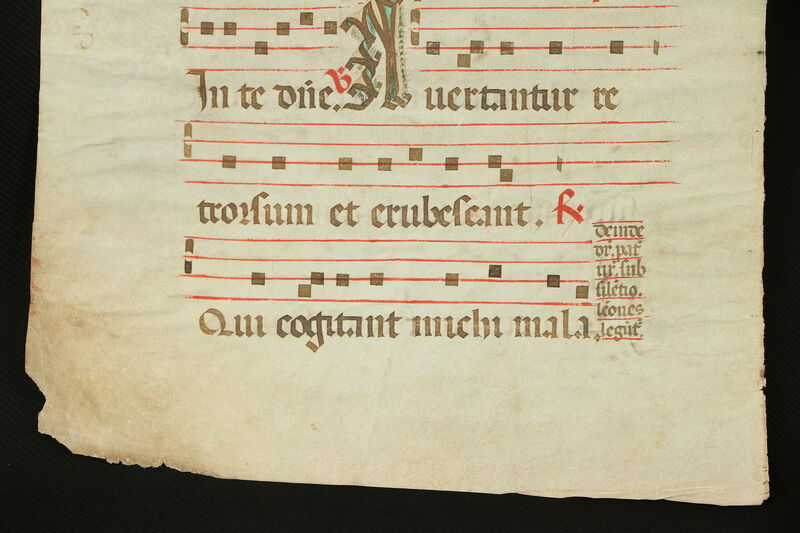 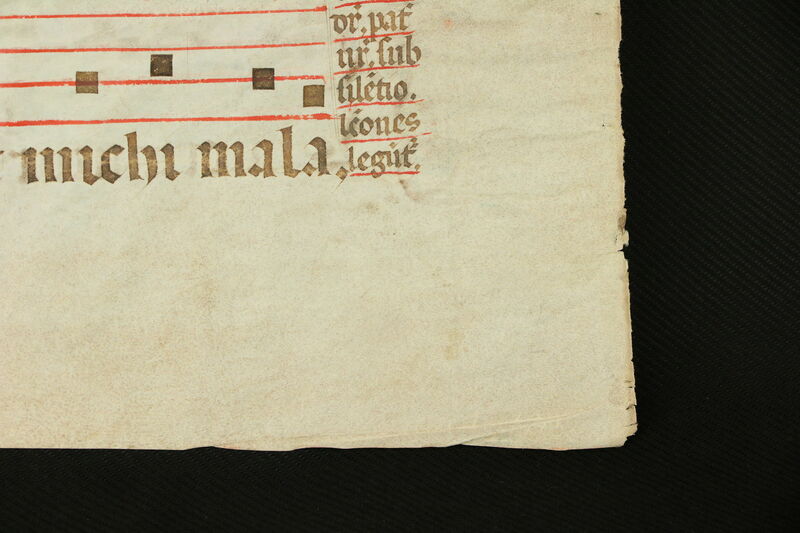 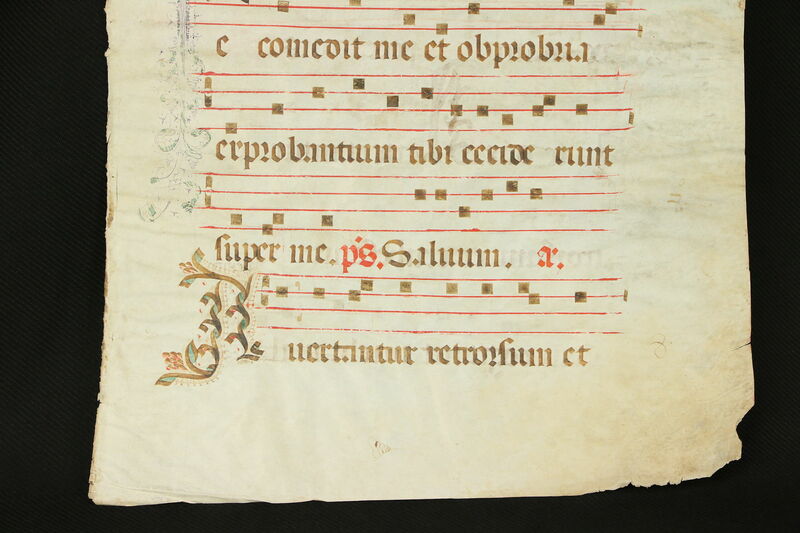 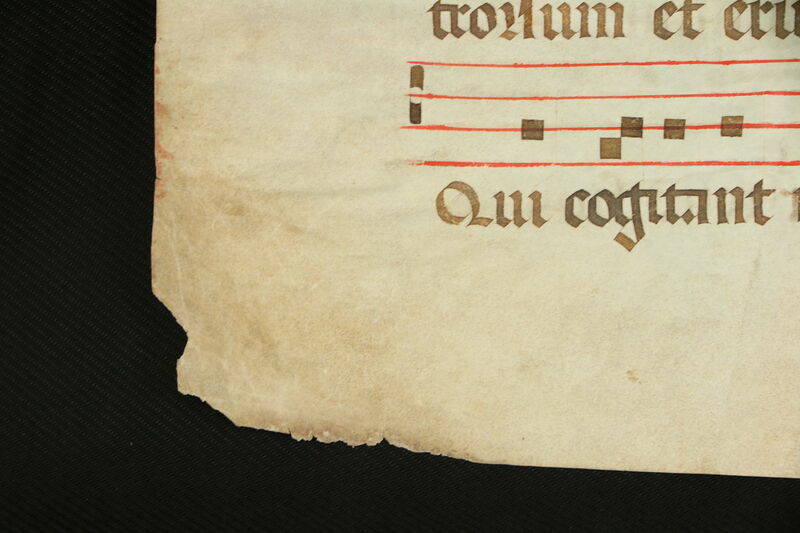 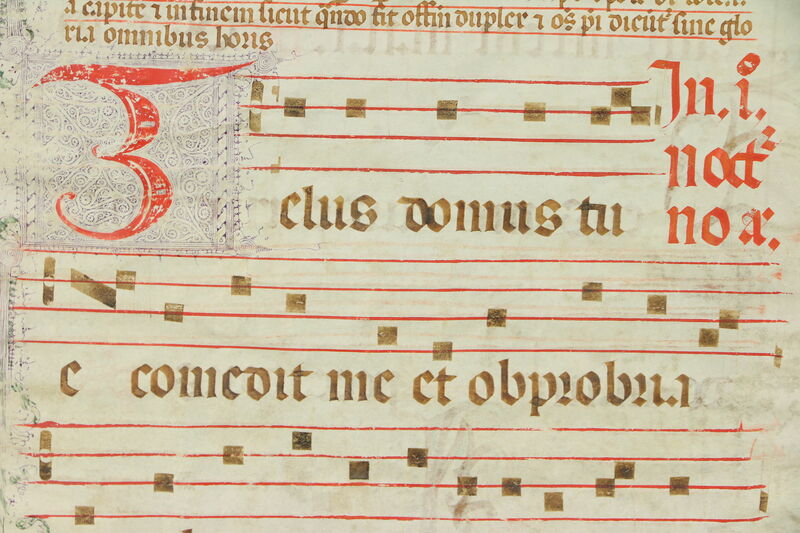 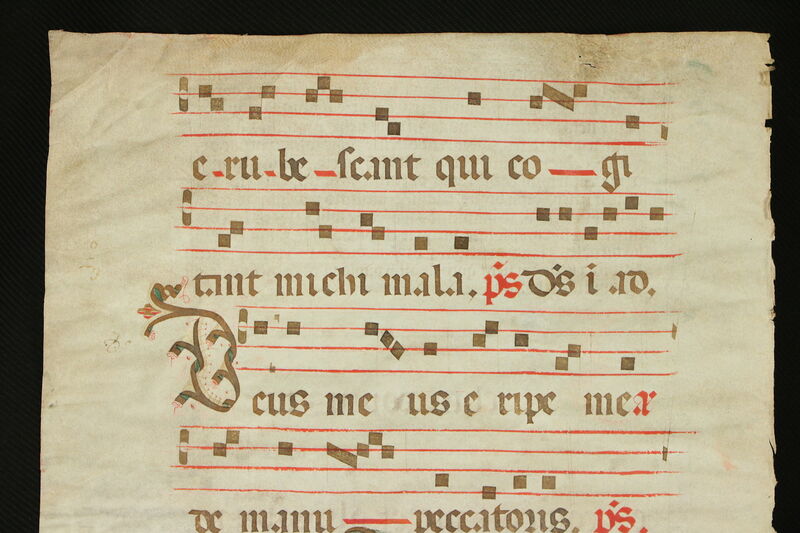 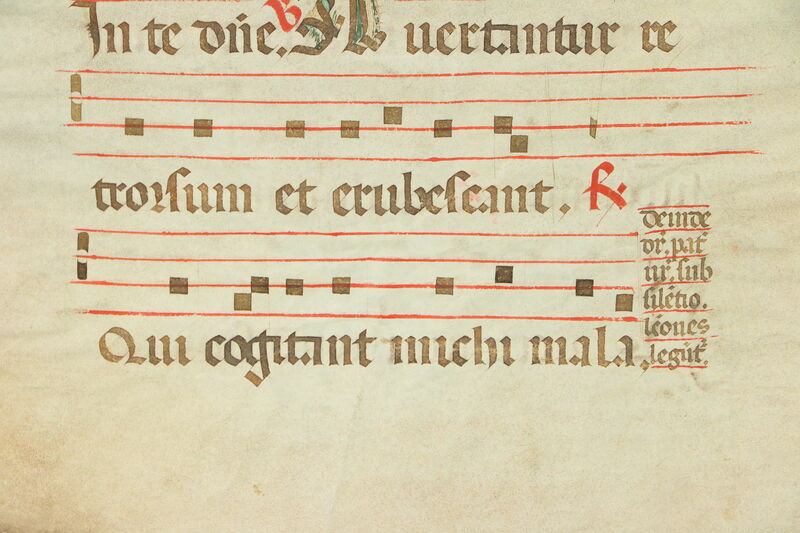 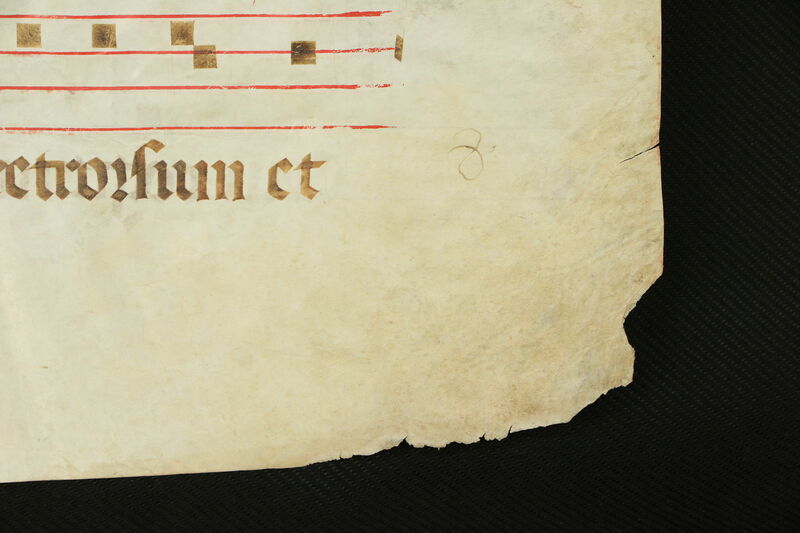 A musical manuscript was hand painted on genuine vellum in northern Europe about 1500. 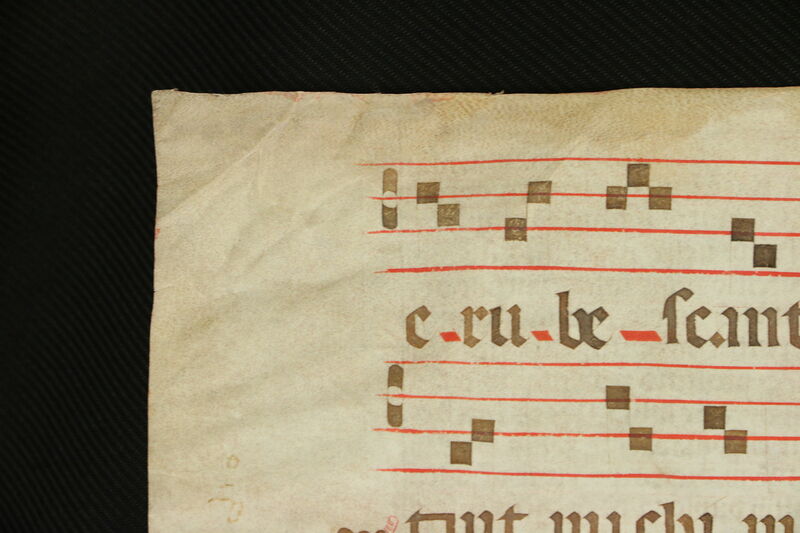 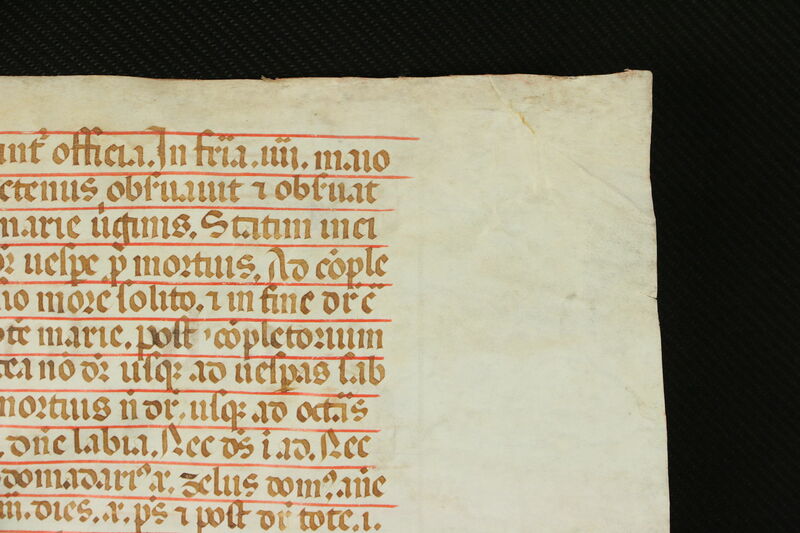 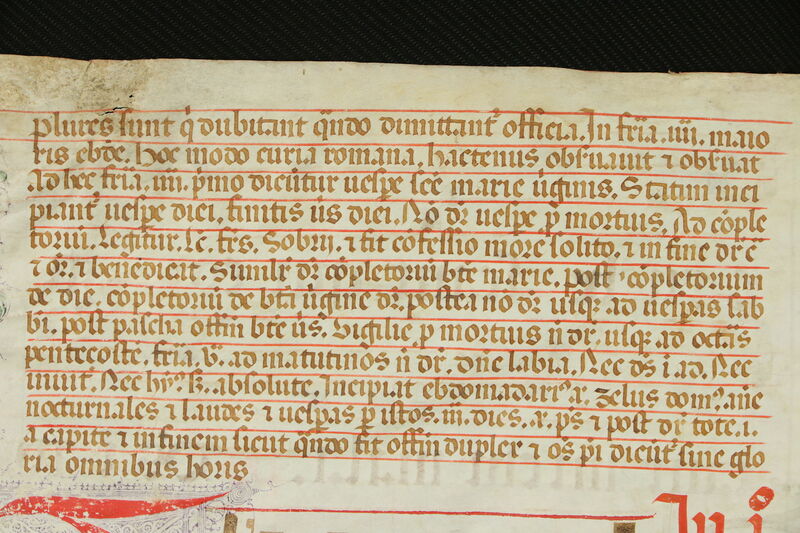 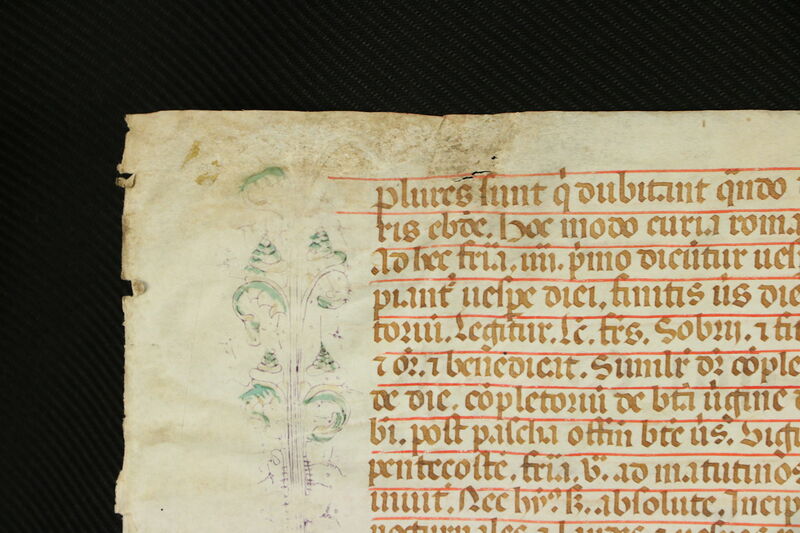 The Latin words are beautifully painted, there is a score on both sides, and there are stains and wear as shown. 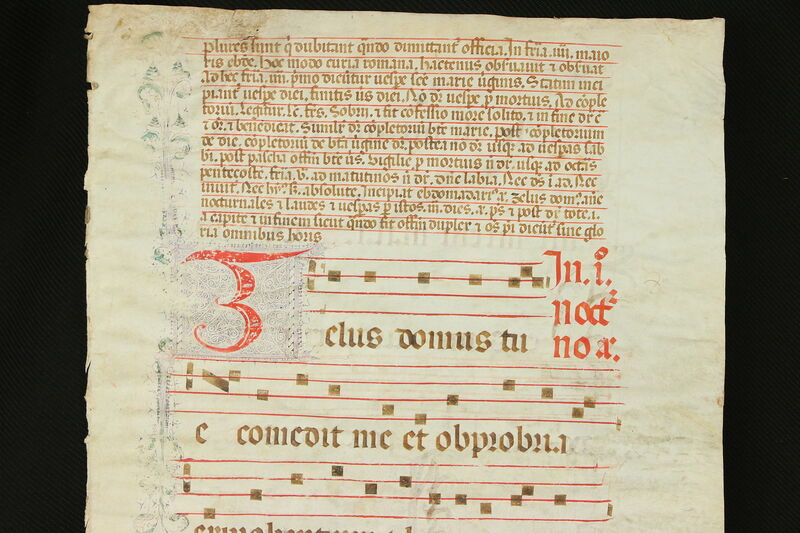 The large scale shows that this was music on a stand to be shared by a choir.